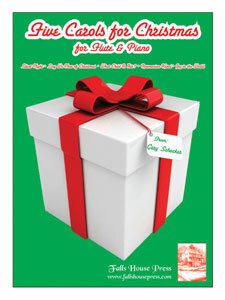 Spread the warmth and cheer of the holiday season with this exciting collection of five Christmas favorites. Scored for the medium to advanced flute soloist with piano accompaniment and appropriate for any church, school or concert setting, this is a valuable resource that will be used over and over again! Titles included are: Silent Night; Sing We Now of Christmas; What Child is This? ; Roumanian Karol and Joy to the World.